The Lahore School of Economics has invited applications for its MBA Program, MBA for Professional Program, BSc (Hons) Economics Programs, BBA (Hons) and BSc(Hons) Business Programs, and BS (Hons) Social Sciences Programs for the year 2017. 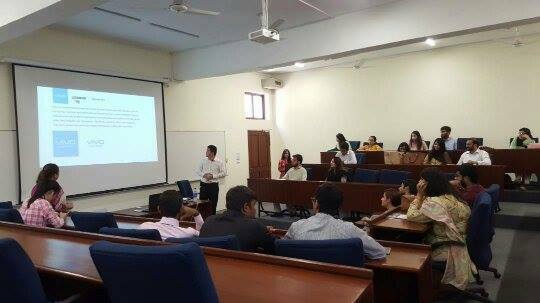 Vivo Pakistan team visited the Lahore School of Economics on 31 May 31 2017 to conduct their recruitment drive for our Bachelors and MBA students. Mr Marvin Zhan, Chief Sales Officer gave a brief introduction about the company’s inception and its launch in Pakistan. 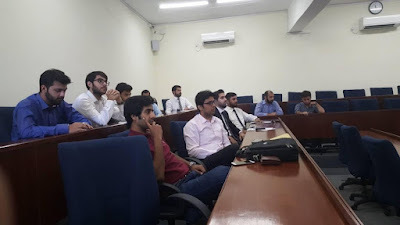 He also told the students that with 136 million annual cellular mobile phone users, Pakistan presents an ideal landscape for all mobile companies. The team then conducted interviews of the students attending the recruitment drive. Madeeha Riaz, Director HR talked about the hiring process for their Management Trainee Program. The presentation was followed by a question and answer session. Vivo is a global technology company that designs, develops, and manufactures smartphones, smartphone accessories, software, and online services. It is Launching in Pakistan in June, 2017. Pak-Qatar Family Takaful Limited visited the Lahore School of Economics to conduct their recruitment drive on 1 June 2017 for our Bachelors students for sales positions at their organization. Mr Saad Ahmad, Group head Sales talked about career opportunities and growth prospects in Pak Qatar Limited. He explained the hiring process and training they offer to the students who become part of Pak Qatar. He emphasized on how lucrative sales jobs have become these days by quoting his own example. The presentation was followed by interviews of the students attending the session.